Is the American Dream mall the future of retail? If brick-and-mortar retail can flourish, the key could be dreaming big. Just outside Met Life Stadium, home of the New York Giants and the New York Jets, a long-awaited retail development is making steady progress towards completion. And within its vast space, the future of the shopper experience is apparent. While not every store will be housed within a complex of nearly five million square feet, the touchstones that motivate consumers are not as different as you might imagine. A brief history of the American Dream at the Meadowlands. Located within the New York metropolitan area in Bergen County, New Jersey, the American Dream mall will be the third-largest retail development in North American, trailing only the Mall of America in Bloomington, MN, and the West Edmonton Mall in Alberta, Canada. The Triple Five Group, the owner of those malls, is the developer behind American Dream in New Jersey and an even larger American Dream being built in Miami. Way back in 2003, the Mills Corporation announced plans for this site in New Jersey, and in 2004, ground was broken for a project called the Xanadu Mall. But the Mills Corporation was eventually forced to declare bankruptcy. Colony Capital took over the project, only to see construction halted in 2009 when it was about 80% complete, as the country endured a major recession and major lenders pulled out. Before this gets turned into an article about major development financing, we’ll fast forward to June 2017, when Triple Five secured financing and work began again. What will the American Dream mall look like? When completed, it’s safe to say the American Dream mall won’t look like anything else. Even comparisons to the larger West Edmonton Mall and the Mall of America don’t quite match up, considering this site’s location in the metro New York area and the attractions that will be a part of it, including an indoor ski and snowboard slope, a giant Observation Wheel with 26 climate-controlled gondolas, a Dreamworks® Water Park, an NHL-size skating rink, a Nickelodeon Universe® Theme Park, a Sea Life aquarium, and a Legoland® Discovery Center. Fact is, it’s not entirely fair to call the American Dream a mall at all. When most of us hear “mall” we think of multiple levels of stores, a gurgling water fountain collecting loose change, a busy food court, and maybe a few sit-down restaurants. The purpose of a trip to these malls is fairly simple — people go there to shop. Food is a diversion and entertainment might include a multi-screen cinema, but the focus is primarily on the collection of stores. The American Dream Mall changes the equation — 55% of the space is dedicated exclusively to entertainment, with the remaining square footage left for retail. The attractions will bring in people seeking a fun way to spend a few hours or the whole day. And according to the logic of Triple Five and based on activity at their other projects, these people will eventually decide to do some shopping as well. After, of course, a few rides on the roller coaster, a couple of runs down the ski slope, or some turns on the ice rink. What does American Dream mean for retail? Obviously, we’re not going to enter an era when every mall has to be like American Dream. People still love to shop, to wander through stores, to look for bargains or something unusual, and they will still make a trip to do just that. That said, the emphasis on entertainment at American Dream is relevant to every retail channel. Even the most traditional shopping center needs to consider the total customer experience. When faced with a choice between a destination that offers a chance to combine shopping with dining, a personal care appointment, or some kind of entertainment option, versus a destination that is almost exclusively stores, most people will choose the experience that goes beyond merely purchasing goods. Of course, not every shopping experience is a mall. But even a stand-alone store should consider the experience it provides, and suppliers should think about how any environment will impact the sales of its products. A small brick-and-mortar location may not be able to tout a water park and a roller coaster but it can consider how customers will interact with the goods it carries. Are shoppers able to see everything easily? Are there ways to demo products? Can employees provide interactive presentations in the store? Are fitting rooms inviting and comfortable? Every square foot of a store should enhance the buyer experience. And what about that eCommerce site? Is it as engaging as it should be? Does it offer videos that give customers a better sense of the product? Are there detailed item specifications that give buyers added confidence and make them more likely to click on the BUY button? While online channels may not be physical and able to provide touch or live human interaction, they do need to deliver the kind of experience that makes shoppers enthusiastic. Suppliers should also think about how they can make their products part of an enhanced environment. Are there inventive merchandising solutions? Can you build touch or sound into displays? Does your packaging communicate the right messages about your product? Today’s shopper is more knowledgeable and has greater access to information than ever before. They are also demanding and impatient — a site that is slow will drag down sales. Every supplier should offer at least one thing that American Dream does. Okay. So what’s the most valuable thing American Dream offers? You see, American Dream can be all kinds of things to all kinds of people. It can be a venue for a specific activity on one visit, and a spot for something else entirely when someone returns. It can be a movie complex, a ski slope, a skating rink, a theme park or, yes, a place to buy a well-tailored dress shirt or a new cocktail dress. We can’t always be all things to all people but in today’s retail environment, we do need to be willing to adapt. 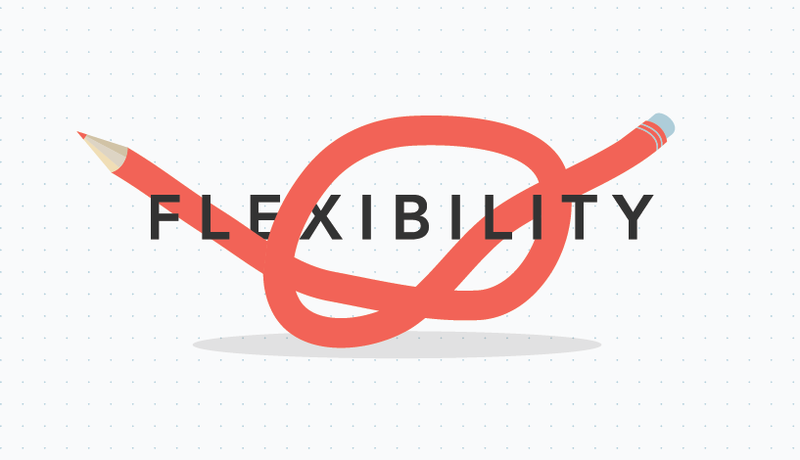 Flexibility is critical for both stores and brands. Suppliers need to be flexible with retail partners. That means being able to handle everything that might get thrown your way, from drop shipping and branded packing slips to online sales and multiple packing options. The right EDI and order management provider can certainly help with that so choose an innovative partner that will help you work quickly and efficiently. Once it opens, the American Dream will be a $5 billion investment. And it will be a reminder that retail is constantly changing and the companies that succeed will be the ones who are always trying to figure out what’s next. Different sales channels, new marketplaces, better customer experiences — you can learn more in our Integrations section about how to adapt, move quickly, and be flexible when processing orders.